Villa del Este is in the Spyglass area of Corona del Mar. 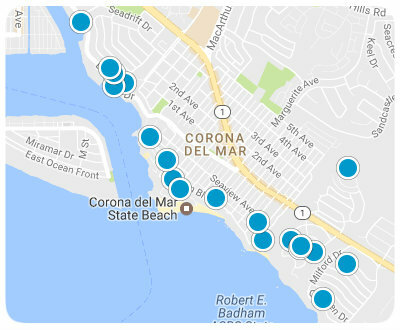 Corona del Mar encompasses the area of Newport Beach from the sea side of the San Joaquin Hills and south of Avocado Avenue to the city limits. Villa del Este is located just north of the Pacific Coast Highway and just a quarter mile from coast. Villa del Este is a small community of condos, townhomes and single family homes. The average condo size in the Villa del Este is approximately 2000 square feet. Townhomes and single family homes will be larger. 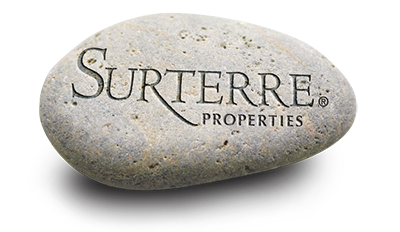 Homes values in the Villa del Este community begin at approximately one million dollars for condos, therefore prices for townhomes and single family will certainly increase from that price point. Homes in Villa del Este strictly abide by the height regulations of Corona del Mar; therefore everyone enjoys beautiful views of the Pacific Ocean, Balboa Island, white water and breathtaking sunsets. Neighboring communities include Jasmine Park, Bayside Drive and Cameo Shores. The Pelican Hill Golf Club is just to the North. Both Fashion Island and Corona del Mar Village are in close proximity for wonderful shopping and dining opportunities.